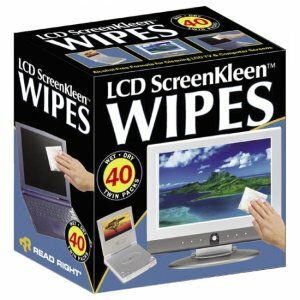 Alcohol-free wipes in a twin-pack format are safe for use on laptops, monitors and PDAs. 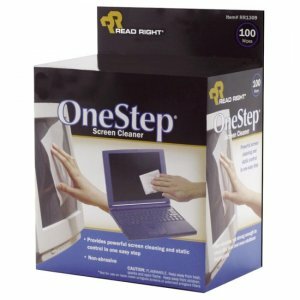 The system contains two parts: a heavily saturated wet wipe to neutralize static and effectively remove dust, dirt and oil; and an absorbent cloth to dry and polish the screen for streak-free optical clarity. 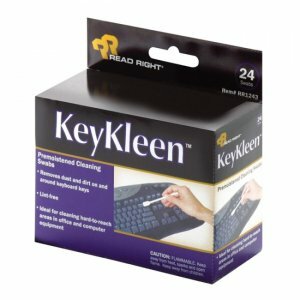 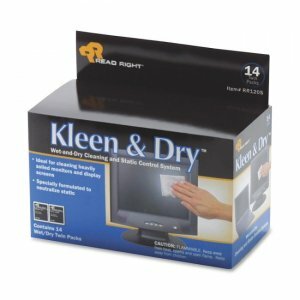 Wipes are not for use on nylon mesh/polarized antiglare screens. 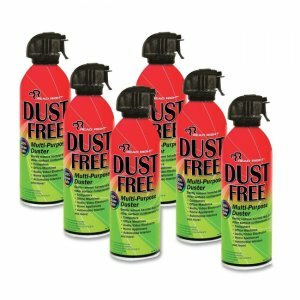 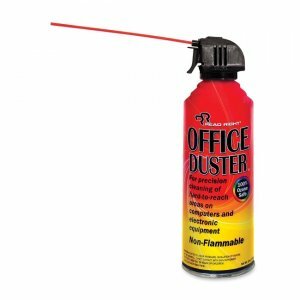 Safe, effective formula is designed for cleaning glass and plastic screens.